Manufacturing & Engineering will take place at the Metro Radio Arena in Newcastle on 4-5th July 2018. 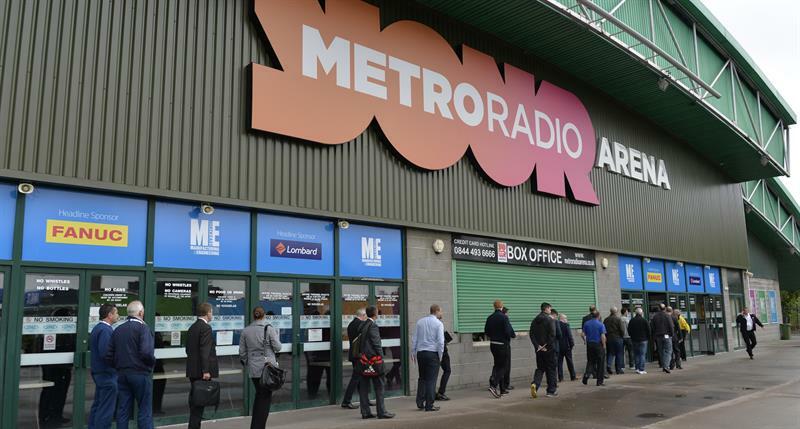 Just three minutes from the A1 North, the Metro Radio Arena has established itself as a major North East landmark, alongside the Tyne Bridge, Angel of the North and Hadrian's Wall. With over 40,000ft 2 of exhibition and conference space, it is the largest concert and exhibition venue in the North East of England, making it the perfect fit for Manufacturing & Engineering 2018. There are over 600 free spaces on site. Alternatively, there is an NCP car park located next to the Arena, with its entrance on Redheugh Bridge Road. Drop-offs can be made along Railway Street. You are advised to collect people from an area away from the Arena as it is likely that you will become involved in heavy traffic. For many shows the road at the front of the building, Redheugh Bridge Road, will be closed for pedestrian safety and approach should be made via Pottery Lane from the east, or up Shot Factory Lane from Skinnerburn Road next to the river. To assist you in planning for attending this event, we have set up a separate accommodation booking link with special rates. Through this website you can book, modify or cancel your hotel reservations at any time and receive updated information about the event.